Betsafe will double your first deposit up to £250 and you will get 10 big spins. New customers only. £10 Minimum Deposit Required. 40x Wagering on bonus amounts. Free Spins available on Gonzo Quest only. Offer will expire after 30 days from registration. Bonuses in Casino have got a max bet restriction in place of £6 per game round or £.0.50c bet per line (or currency equivalent) and failure to adhere to this max bet rule may result in account closure and forfeit of the Bonus and any winnings attained during the wagering of the Bonus. Wagering Requirements of Welcome Bonus: Please note the bonus amount must be wagered a minimum of 40 times before you can make a withdrawal. Not all games in Casino, Live Casino or Mobile Casino contribute the same amount to the bonus wagering requirement. 10 Free BIG spins will be credited for all Deposits exceeding £10 after the player has qualified for the first offer. Free BIG spins are worth £1.00 each Spin. The Free BIG Spins are claimed by opening the 'Gonzo's Quest' game. 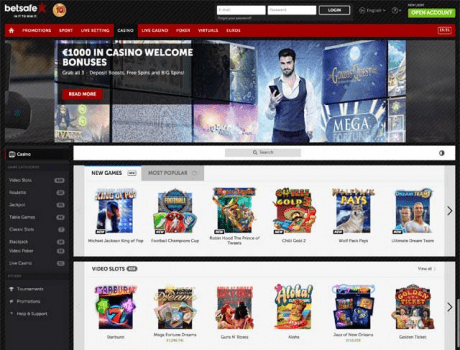 Wagering Requirements of Free Spins and BIG Spins Bonuses: The Free/BIG Spins must be wagered a minimum of 35 times within 3 days of the Free Spins Bonus being claimed.